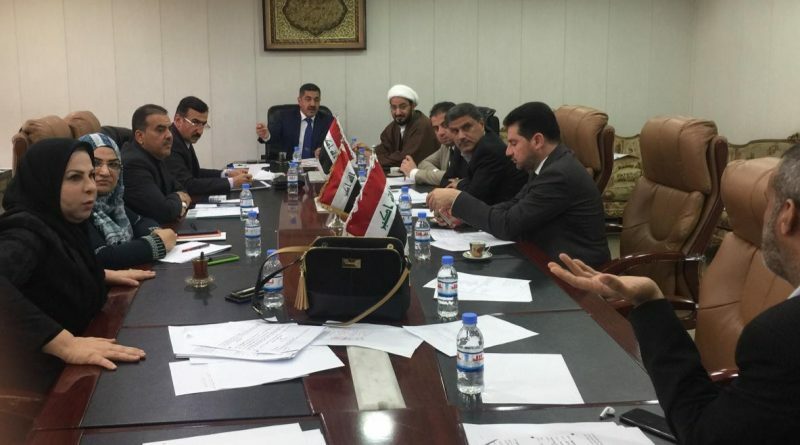 A member of the House of Representatives Raad al-Dahlaki, on Friday, that the rampant corruption in Iraq sees blind, while revealing a parliamentary vision to soften security institutions and fight corruption.
" The parliament has come up with a new vision to establish a mechanism and give greater authority to the prosecutor and the Commission for Integrity and Financial Supervision to have real steps in resolving the files and stopping what we can stop from the rampant corruption in the country, " Dahlaki told NRT . Leading to a slow movement in the procedures and the resolution of files, and the reluctance to reach real and positive results towards the citizen. "The parliament is going to lobby some institutions, and today we do not need to lobby regulators only to achieve their goal as soon as possible, but we also need to lobby security institutions to have a single source of decision." 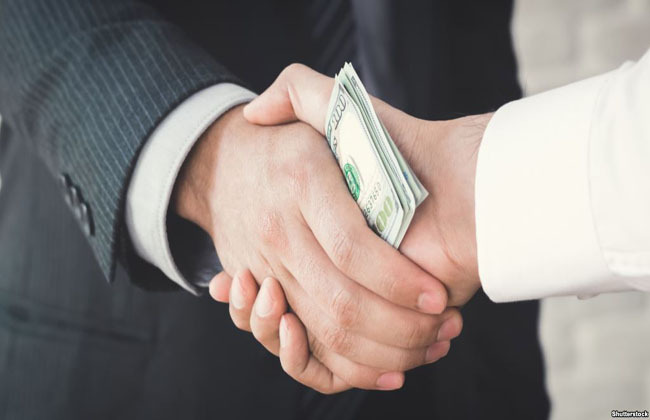 Al-Dahlaki said that "if it remains the same, corruption today sees even the blind, and the institutions can not resist and stop at the very least." The parliamentary legal committee on Saturday called for the formation of the Supreme Court to fight corruption to end pressure on judges, noting that the committee is in the process of making major amendments to anti-corruption laws. "The committee is in the process of making amendments and legislation of important laws in the file of fighting corruption, where the laws will be initiated to recover stolen public funds and the integrity and public prosecution and where you get this," said Hussein al-Aqabi, a member of the committee. Al-Aqabi added that "the anti-corruption system can not succeed without restructuring all the supervisory departments and linking them to achieve speed in performance and accountability of corrupters." The restructuring includes granting the Office of Financial Supervision legal status in the investigation to give it additional power, General Inspectors to be selected by the Inspector-General of the independent personalities and the abolition of liaison offices in the ministry. " He explained that "the amendment of the Public Prosecution Law is necessary as will be the establishment of public prosecution offices in all ministries as well as the establishment of a Supreme Court to fight corruption like the Federal Supreme Court to grant them wide powers in the accounting of corruption whales without any impact," noting that " The Green Zone, to give its judges financial powers and privileges and great protection to end any threat against them. " The Supreme Anti-Corruption Council, headed by Prime Minister Adel Abdul Mahdi, has launched a two-way move to prevent a vote on the abolition of inspectors' offices, media sources said on Sunday. "The anti-corruption council headed by Abdul Mahdi began to move from two sides to prevent the vote on the abolition of the offices of the inspectors, through his attempts to pressure the Presidency of the Parliament to prevent voting on the law," the newspaper "The New Arab" said in a report. To communicate with the judiciary to veto any law voted by parliament. " She added that "Abdul-Mahdi insists that this law is not passed, especially that the Anti-Corruption Council evaluates the work of the inspectors' offices, and those assessments must be formally completed in light of which to take appropriate decision to those offices to keep or cancel." The head of the Commission on Integrity Parliamentary Hisham Suhail, on Sunday, the role of elites and competencies in addressing administrative and financial corruption and combating. A statement issued by Al-Farabi College, a copy of which was received at the Al-Razi Hall by the head of the Parliamentary Integrity Committee, MP Hisham Al-Suhail, was presented at a seminar titled "The role of media in dealing with corruption in Iraq." Al-Suhail stressed "the role of elites and competencies in the face of corruption rampant in the institutions of the state," referring to "the role of the media, especially in the detection and fight corruption in all its names as a supporter of the work of the legislative authority in terms of oversight of departments and government ministries." 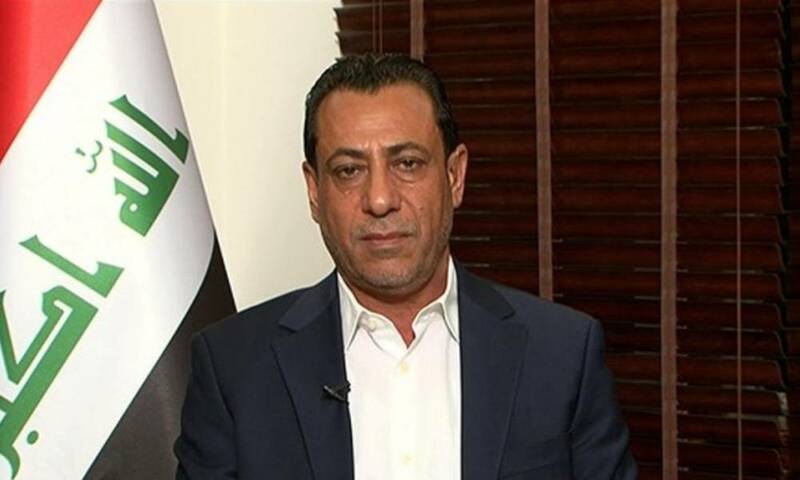 BAGHDAD / SNG - A member of the Iraqi Council of Representatives Mohammed al-Sidli, on Sunday, his call to eliminate administrative corruption in the implementation of vital service projects for Nineveh and all Iraqi provinces. "The spread of corruption and indicators of poor efficiency and lack of follow-up is a major cause of the collapse of these projects after a very short time to implement, the most recent collapse of the stone bridge in the province of Nineveh, which was completed by a local company at a financial cost amounted to About 370 million dinars. " He also called on the member of the Strategic Planning Committee "the Iraqi government to get out of the typical implementation and work on the construction of giant projects using international expertise in the areas of roads, electricity, municipalities, water and sewage, which is suitable for the Iraqi citizen and spare natural disasters resulting from changes in the environment and environmental. The General Secretariat of the Council of Ministers issued a decree commissioned by the Deputy Prime Minister and Minister of Oil Thamer Ghadhban chaired the Board of Trustees of the initiative on transparency in extractive industries and the renewal of the mandate of Mr. Alaa Muhyiddin as Executive Director. "The Diwani order has been renewed to form the council, which consists of six members with the rank of director general representing the government chosen by the Ministries of Oil, Industry, Minerals, Finance and Planning, the Federal Financial Control Bureau and the Kurdistan Regional Government," the Secretariat said in a statement. "The other six members are selected by global extractive companies operating in Iraq and state-owned extractive companies," he said. "The council also includes six members representing civil society elected by civil society organizations and professional associations." It is noteworthy that the anger has replaced Dr. Mahdi al-Alaq in the presidency of the Council and that Iraq has become a member of the initiative in 2012 and has issued so far eight annual reports containing detailed data matching and audited the reality of extraction and export revenues in the sectors of oil, gas and minerals. The international initiative was established in 2002 and has 52 member countries and operates within international standards aimed at strengthening the governance and transparency of these sectors of the important strategy. " revealed the Integrity Commission, on Tuesday, the ability to control cases of manipulation in the sale of currency allocated to passengers in one of the branches of Rafidain Bank in Karbala province. The Department of Investigation of the Authority, in an interview about the seizure, in a statement received / Mawazine News / copy, that the salaries in the province, "was able to arrest an employee took the payment of the amount of (429 million) million dinars; to buy the amounts of dollars raised For travelers at discounted prices, taking advantage of the price difference after selling them on the black market for their own account. " The Department added that "preliminary investigations led to the disclosure of the Committee to sell the dollar in the bank to spend $ (1,896,000) million to (632) beneficiaries (3000) dollars per beneficiary," indicating that "the accused to take advantage of them for her personal benefit, pointing out that During the operation, which was carried out under a judicial memorandum, the seizure of lists of meals disbursed by the bank. She added that her staff in the province "organized a material record of the seized material, and presented it with the accused, whose statements were recorded in accordance with the provisions of Article 335 of the Penal Code, to the competent investigating judge to take appropriate legal action." It is worth mentioning that the Commission announced the implementation of a number of seizures in Karbala, the last of which was last month, resulting in the return of a property area (153) acres, and its estimated value (7.650 billion) dinars. The Office of the Inspector-General of the Ministry of Interior announced on Tuesday that it was able to prevent the waste of more than 400 million dinars during the month of February. 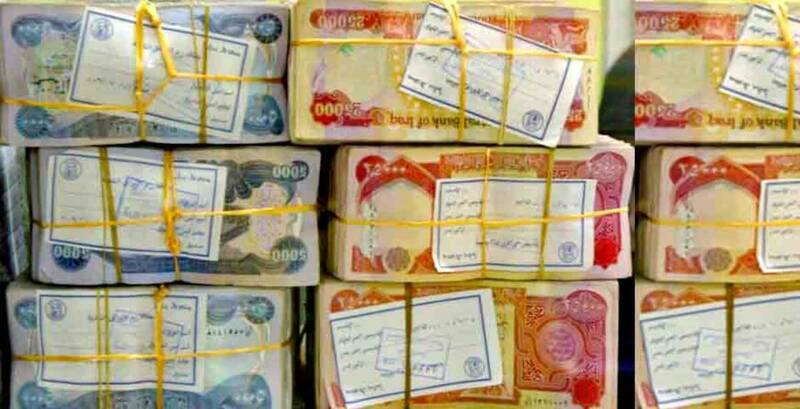 In its report for the month of February 2019, the Directorate of Audit and Financial Control of the Office of the Inspector General, received a copy of which it received "," during the past month it was able to return (39,733,389) dinars to the state treasury and recommended the return of (17,652,941) The waste amount of (350,920,143) dinars. " 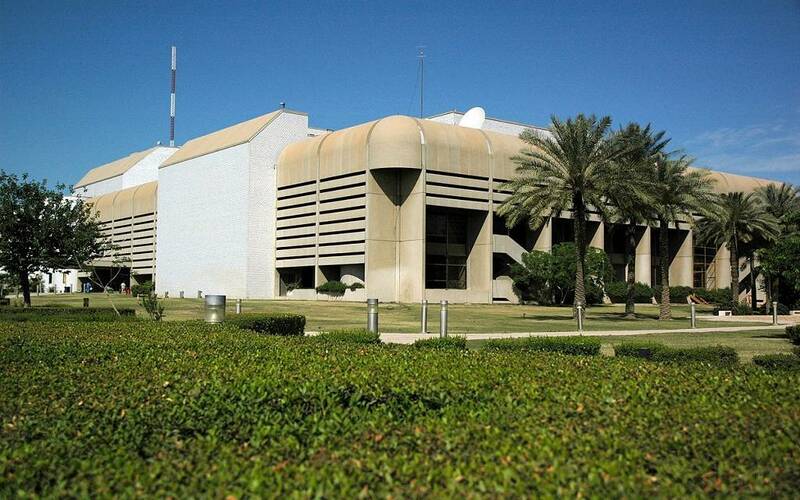 The Directorate added that it had "expressed its opinion in 107 boards of inquiry and 131 cases and treatment brought forward by the departments of inspection of Baghdad and the provinces, and has examined 171 treatment in its efforts in the field of pre-emptive control." She pointed out that she continued to "implement 40 contracts within the Ministry of Investment plan and 95 other contracts within its operational plan, and one contract within the contracts of the Martyrs' Fund and the Health Insurance." accused the leader of the Sadrist movement, the governor of Zamili, Wednesday, Judge Wael Abdullatif, empty media, in response to his statement on the wearing of the shroud, while he said that the latter will ask him when the activation of anti-corruption laws. Al-Zamili said in a statement received by Mawazine News that "recently there has been a spate of media abuse by a number of local media and satellite channels." He added that "this deliberate abuse of abuse shows beyond doubt the absence of a sergeant, Borders and personal considerations and infringement of the freedom and sanctities and beliefs of others and their values. " He added: "We find those who mock the worshipers or references who are considered national symbols sacrificed for Iraq themselves and their blood and their children and what they have firmly on the principle and their insistence on the application of the democratic system in Iraq," noting that "what was issued by Wael Abdul Latif comes within this framework, By bypassing the honorable references. " "Where was Wa'il Abd al-Latif when he wore the shroud of Muhammad al-Sadr and stood tall in response to the forces of Saddam's American infidelity and infidelity, echoing their faces," he said. "Both are Americans, both are Israelis, both are non-Jews, especially as there are question marks on the role of Wael Abdel Latif as a former minister and member of the House of Representatives former". He stressed that "Abdullatif, among those who will account for them when the laws of fighting corruption and can not cover the files of corruption through the empty media exaggeration," stressing that "
(Independent) .. The United Nations Development Program (UNDP) announced the approval of the former agent of the Ministry of Interior Aqil Mahmoud al-Khazali on March 18 on the standard standard work document for criminal investigations, which serve primarily the efforts of police in the fight against crime and make the investigation process more reliable and efficient . UNAMI said on behalf of UNDP that the approval of the standard working document of the investigations is in line with the implementation of the local police and service roadmap recently adopted by the ministry. A multidisciplinary working group, including the Ministry of the Interior, the Supreme Judicial Council, the Ministry of Justice, the National Security Adviser, the Security Sector Reform Section and the Rule of Law of the United Nations Development Program (UNDP) have been working on a standard work document for criminal investigations, which took a full year of preparation and review. The Standard Code of Criminal Investigations is a standard and unified approach to criminal justice in Iraq, where it seeks to establish a governing body to carry out the criminal investigation efficiently and effectively. The control document aims at raising police performance in the field of investigation, exercising all investigative activities professionally, making them accountable to investigating judges, and confirming the credibility of the evidence obtained from investigations in other judicial proceedings. The activation of standard labor controls requires the cooperation of the various departments of the Ministry of the Interior, especially police stations, crime offices, the offices of the Federal Intelligence and Investigations Agency, the Criminal Evidence Directorate and the Emergency Patrols. "Compliance with standard operating procedures will help improve the security situation in Iraq directly and indirectly through the police response and the response to all forms of crime," said Akil al-Khazali, the senior interior ministry undersecretary. Will be followed by the police organs acceptable and satisfied with citizens. "The Ministry of the Interior is very much aware of the importance of citizens' confidence in the behavior and procedures of the Iraqi police and rely heavily on its cooperation by providing the information it has about criminal activities and perpetrators." The head of the Criminal Justice Committee in the Ministry of Interior, Major General Ziad Taha, said: "The standard working procedures document for criminal investigations will support the police in performing its role in the investigation process and the implementation of arrest warrants and orders issued by the investigating judges in accordance with standard practices agreed." For his part, the UNDP Criminal Justice Advisor Andreas Kirschawd, in his participation and advice in the meetings of the group of experts on the drafting of the standard criminal investigation document, which included the Ministry of the Interior and the Supreme Judicial Council and the other parties concerned, "the effective implementation of the document controls the investigation requires general acceptance and lifting The capacity of police institutions, which play a key role in the practice of criminal investigation. All police departments involved in the investigation must develop their level and skills and be prepared to streamline practical practices in line with the requirements of the Standard Business Controls Act. " The United Nations Development Program (UNDP) in Iraq renews its commitment to the Ministerial Committee on Criminal Justice and the Specialized Working Group to continue support for the implementation of the document on the ground and to make it an effective means of combating crime. The effective implementation of the document requires the adoption of action plans, the assessment of the status of equipment and equipment, the training of investigation officers, the operations room, officers responsible for managing hazardous security incidents, the initial responder and others concerned. Many international partners also expressed their interest in this area of ​​work. The United Nations Development Program extends its appreciation and respect to Germany and Denmark for their generous contribution to the financing of these important workers. 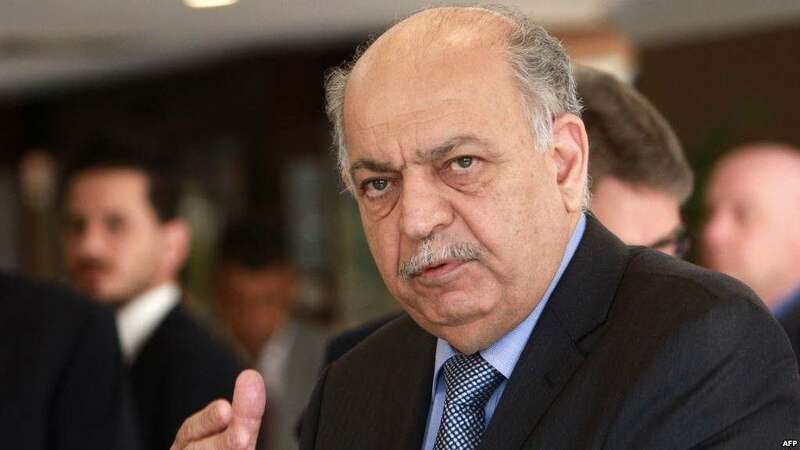 Baghdad, 21 March 2019 – On 18 March 2019, the Senior Deputy Minister of the Interior, Dr Aqeel Al-Khazaali endorsed the Standard Operating Procedure (SOP) on Criminal Investigations. These internal regulations for criminal investigations are meant to make crime management more reliable and efficient. The adoption of the SOP on Criminal Investigation aligns with the implementation of the Local Police Service Road Map also recently adopted by the Ministry. The SOP had been prepared for over a year by an internal ministerial criminal justice committee and an interdisciplinary working group consistent of interior ministry officials, representatives of the Higher Judicial Council, the Ministry of Justice, the Office of the National Security Advisor and with technical assistance from the security sector programme of UNDP. The SOP allows a unified criminal justice approach in Iraq and is meant to become the governing practice to conduct criminal investigations in an effective and proactive manner. Its purpose is to raise the performance of the police in investigations and make their professional actions in criminal investigations more accountable to investigating judges; also to make the evidence produced during their investigations more likely to be credible in further judicial proceedings. The SOP requires various departments of the Ministry of the Interior, in particular the Patrol Police, local police stations, the Anti-Crime Section, the Federal Investigation and Intelligence Agency (FIIA) and the Criminal Forensic Directorate to cooperate while respective police investigators shall take up lead responsibilities. “To become truly effective, the SOP will require general acceptance and the increased capacity of police departments that play key roles in criminal investigations. All major departments involved in investigations must raise their level of skills and be ready to streamline practices to be able to meet the requirements of the SOP,” stated Andreas Kirsch-Wood, Senior Criminal Justice Advisor of UNDP who participated in the expert group meetings and advised the Interior Ministry, the judiciary and other stakeholders during the SOP drafting process. UNDP-Iraq reaffirmed its commitment to the members of the ministerial criminal justice committee and the interdisciplinary working group to continue its support to make the implementation of the SOP a potent instrument to fight crimes. Since many police directorates and departments will be directly affected by changes in the investigative process, operation plans must be adapted, equipment reviewed and added, and training be conducted for lead investigators, operation room duty officers, major incident managers, first responders and others. Many other international partners have expressed an interest in this area of work. UNDP is grateful to Germany and Denmark for their generous funding to carry out this important work in Iraq. MP of the Alliance for the governor of Babylon Salam al-Shammari the importance of choosing a national figure firm to the integrity of the public. facing a great national position in choosing a firm and patriotic person for the Integrity Commission in light of the large number of files," he said in a press release . the Integrity Commission will overthrow the heads of corruption, which have plagued the country and looted his money." He explained that "all the people are waiting for disclosure of the heads of corruption and this is only a strong personality and firm on the head of the Integrity Commission." He called on all popular and national political forces to support those who are chosen to head the body in order to expose the corrupt and bring them to justice to receive their just punishment. Direct: The Integrity Committee of the Iraqi Council of Representatives, on Monday, a meeting to discuss the amendment of the draft amendment to the first law of the Fund for the recovery of funds No. 9 of 2012 . According to a statement, the committee prepared a report on the draft law and it was agreed to submit it to the Presidency of the House of Representatives for submission to the vote during the next session . The meeting also agreed to hold daily meetings of the Committee prior to the meetings. 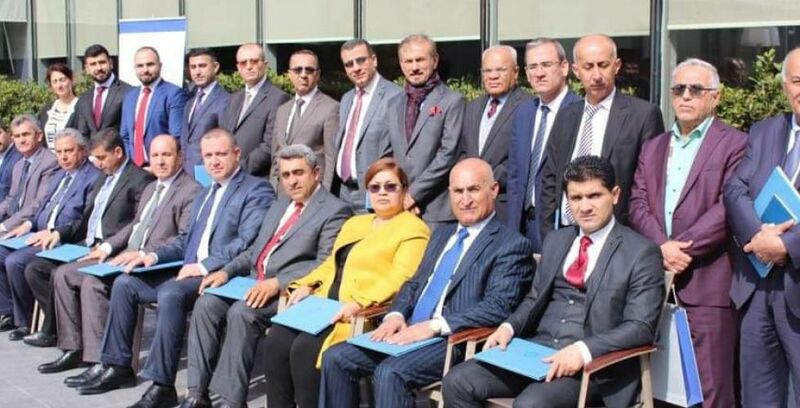 The Central Bank of Iraq organized in cooperation with the Association of Iraqi Private Banks a training course for judges of the Kurdistan region of Iraq in Istanbul recently under the title of combating money laundering and financing of terrorism. The international expert on anti-money laundering, Dr. Tareq Rahmi said: "16 judges from the Supreme Judicial Council and the Public Prosecution in the Kurdistan region of Iraq took part in the session, with the aim of communicating the idea of ​​linking money laundering as a crime and its application in courts. Financial crime ". The president of the Association of Iraqi Private Banks Wadih al-Hanal said: "The course was complementary to the program we started in Baghdad, where the idea of ​​training the judiciary was adopted and implemented under the supervision of international training experts." From the Presidency of the Prosecutor General of the Kurdistan Regional Government Judge Delshad Fire thanked the institutions that organized this session, which he described the task, because it added something new to the participants in this important issue in economic life, especially with the expansion of money. "The session witnessed an exchange of experiences between the participating judges and the experts supervising the session," said Samir Nusairi, advisor to the association. "It is an important direction to enable the Iraqi judges to achieve this criminal component, which creates great negative effects on the national economy. 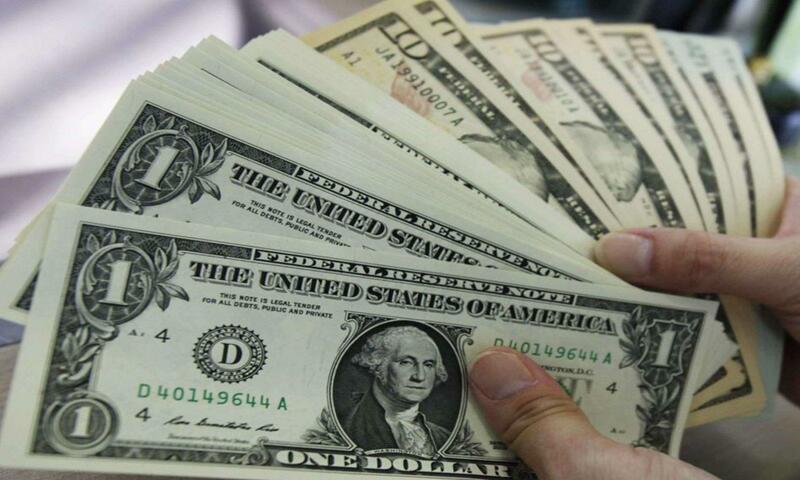 , Which requires full cooperation between the financial and banking system on the one hand and the judicial system on the other to clear laws and mechanisms of entry into force and cooperate with the global financial system in a safer way to protect the business environment and facilitate the attraction of foreign investment. 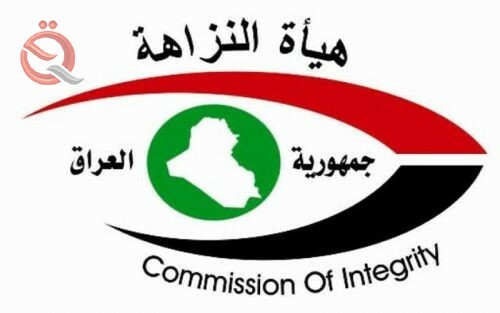 The Integrity Commission, on Wednesday, called on the Ministry of Health to form a central committee to evaluate the work of hospitals in Baghdad and equipping them with medicines, medical supplies and equipment and monitoring financial allocations to build modern and sophisticated hospitals. 65 billion dinars. The agency said in a statement read by "Economy News", "A team from the Department of Prevention revealed, in a report prepared on his visits to (Baghdad and Nu'man educational hospitals and cancer oncology and radiation institute) to see the level of performance and identify the obstacles to work and develop proposals Which is necessary to develop its performance, to detect the shortage of medical devices and some of them, although they are under warranty, but the company equipped to slow maintenance, "stressing the need to" include the terms of contracts for the purchase of medical devices concluded with international companies Alrsina on a paragraph training for engineers and technicians to maintain and repair "He said. "The report sent a copy to the Office of the Speaker of the House of Representatives and the Secretary General of the Council of Ministers and the Minister of Health and Environment, noted a significant shortage of some medicines and vaccines and medical supplies, and delayed its examination in the center of drug control for several months, which negatively affected the time of processing hospitals, Especially the life-saving ones, noting that many of them are ineffective because they are produced by unscrupulous companies. "He stressed" the need to activate the role of pharmaceutical control and control of the work of the national flavor through the establishment of a specific mechanism for the examination and the Ministry of Health to import the import of important drugs "He said. The report pointed to "the need to establish an integrated center for cancer and review the mechanism for the disbursement of treatment for patients in the hospital oncology," pointing to "the importance of opening a center (interventional radiology) in the city of medicine; because of its role in the treatment of some diseases without surgical intervention and treatment Some cancer tumors, in addition to the development of cultural programs; to inform citizens of the importance of conducting early tests to diagnose cases of the disease. The Commission noted that "
The report pointed out that a number of negatives were found in the contract for the rehabilitation and development of Al-Nu'man Teaching Hospital (addendum of nine floors) between Baghdad and one of the Greek companies in 2014 with a total value of more than 65 billion dinars, (5%), in addition to the presence of large quantities of yarns of expired operations in the warehouses of the incompetent Baghdad Teaching Hospital, and the continued processing of large numbers of medical supplies for ECG devices, despite the provision and violation of conditions Contracting and high prices. " The Ministry of Justice announced the issuance of the new issue of the Iraqi fact sheet No. (4535), on Thursday, and included amendments and decrees approved by the House of Representatives and ratified by the Presidency of the Republic. The director general of the department, Mr. Kamel Amin Hashim said in a statement, "Al-Ghad Press" a copy of it, "The number included the issuance of a number of decrees Republic (12), (13) and (14) for the year 2019, Naseef to work as a consultant in the Council of State, and the transfer of Ambassador Ziad Khaled Abdul Ali to retire, and also to refer Ambassador Saroud Rashid Najib to retire. " He added that "the number also included the issuance of decisions issued by the Committee for the freezing of terrorist funds No. (10), (11) and (12) for the year 2019." 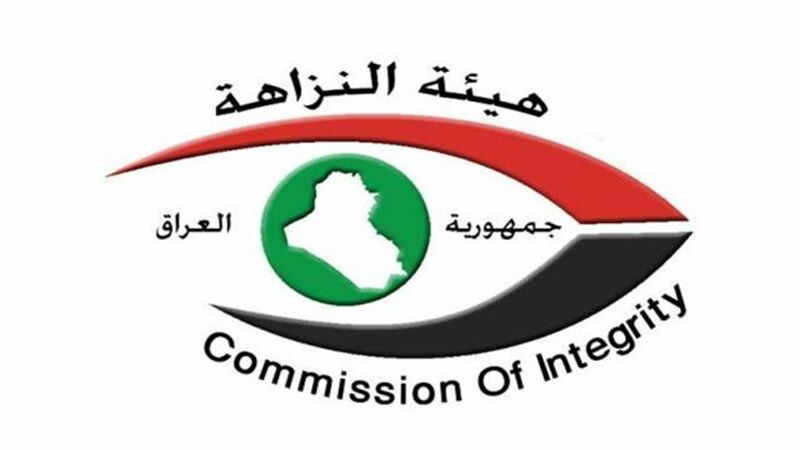 The Integrity Commission, on Thursday, the seizure of 14 officials and staff in the Office of Nineveh province on charges of embezzlement and waste of state funds, revealing the seizure of more than 15 billion dinars were entrusted. "The investigation office in the province of Nineveh carried out five seizures under judicial arrest warrants resulted in the seizure of 14 officials and employees in the province on the basis of the provisions of Article 315 of the Iraqi Penal Code," the investigation department said in a statement received by Alsumaria News. 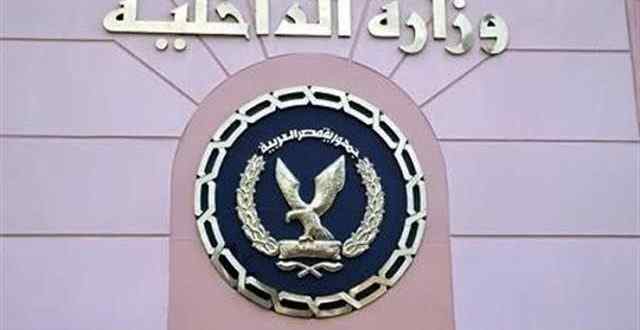 The department added that "the offices of the Office seized (8700.000.000) billion dinars in cash, while seized the amount (5.000.000.000) billion dinars in the branch of a government bank, while seized the amount (1.435.000.000) billion dinars in the Department of Engineering, Diwan Governorate ". The Department pointed out that "the arrested suspects are both the Chairman and members of committees composed of the purpose of withdrawing the amounts of rural development section of the projects for the rehabilitation of roads for villages and rural areas and distributed between the sub-committees," indicating that "the total amounts seized priorities by the staff of the Office amounted to 57 billion dinars , And is in the process of tracking the remaining amounts. She added that "has been organized minutes of fundamental seizure operations carried out on the basis of memoranda of judicial control, and presented with the accused and funds on them and the seized criminal evidence and investigative papers to the competent investigating judge who decided." Inspector General of Interior warns of 90 days to come "harsh on the corrupt"
- The Inspector-General of the Ministry of the Interior warned on Friday of 90 days to come, stressing that "it will be tough on the corrupt." "90 days ahead will be tough on the corrupt," Jamal al-Asadi wrote in his Twitter account. "The honorable people have kept away from the corrupt, so that the white will not mix with us in black." The Parliamentary Integrity Committee decided on Saturday to investigate the Commission's law and to speed up investigations and corruption cases. The statement added that "the committee decided to host the investigation and legal managers in the Integrity Commission to discuss the Integrity Commission's law and to expedite the resolution of investigations and corruption cases, and to direct an official letter to the Integrity Commission on the establishment of a time limit to resolve the charges related to integrity." The statement pointed out that "the Committee also decided to host officials in the Rafidain Bank and the Director General of payments at the Central Bank to discuss the card card card and the problems and negatives in the granting of leave to spend." The Office of the Inspector General of the Ministry of Agriculture, on Saturday, the transfer of eight cases of directors-general and agricultural managers to the Integrity Commission in preparation for submission to the competent courts. "The number of investigative committees formed during the year 2018 amounted to 62 committees, 12 of which were referred to the Integrity Commission for Visualization, including 8 cases involving directors," Inspector General of the Ministry of Agriculture Lamia Dawood Kazem said in a statement received by Mawazine News. Two years and directors of agriculture in the ministry, "adding that" the number of investigative and verification committees during the same year reached 43 committees and the number of audit committees 24 committees. " He added that "the administrative investigations conducted by the investigative teams in the Office of Inspector General of the Ministry of Agriculture resulted in the recommendation to recover the amount of (2,971,346,438) two billion nine hundred and seventy-one million and three hundred and forty-six thousand and thirty dinars and return these amounts to the Treasury, In all of Iraq for the year 2018 as well as the decisions of the inclusion committees that led to the collection of the amount of (12,409,856,166) twelve billion four hundred and nine million eight hundred and fifty six thousand and one hundred and sixty-six dinars. " [ltr]"The Democratic Party and the Patriotic Union of Kurdistan led by Massoud Barzani and Jalal Talabani are the cause of corruption in the region since 1991 until now," said Shams al-Din. "We support the anti-corruption efforts against these two parties, and we formally asked the Council of Ministers and the Supreme Council of the Anti-Corruption Council that the file must include corruption in the Kurdistan region, especially the Democratic and Kurdish parties." The Financial Control Bureau announced on Sunday that the Joint Council for Combating Corruption has moved quickly on a number of corruption files in coordination with the Integrity Commission and related parties, including the real estate and oil smuggling operations that are expected to be completed soon. "The Anti-Corruption Council has been in coordination with the Integrity Commission for a long time, to open the file of counterfeit real estate that has been unlawfully turned over and taken over by certain parties in general," Salah al-Nuri, head of the Financial Control Bureau, said in a statement. The country, "noting that" this file reached advanced completion rates and will soon be referred to the judiciary to decide. " between the President of the Yuan financial control "One of the things that have been monitored, is thegreat disparity operations and the delivery of oil derivatives , whether for internal use or for export, due to the deterioration of the counters , " he said : "This is the responsibility of the Ministry of Oil." He added that "the other point, which was appointed by the Diwan and contribute to the smuggling of oil, resulting from the extension of transport pipelines, whether crude or oil derivatives for large distances and there are no escorts covered, and therefore there are points are punctured by the pipe and the withdrawal of alfalfa or derivatives and transport by tankers," adding that "This is outside the will of the Ministry of Oil, but such operations are done only by people supported by certain parties." He pointed out that "the existence of documents and photographic operations prove this and explain how to steal and smuggle oil," pointing out that "the other ways in which smuggling operations are reported to the Prime Minister and the Prime Minister, it is through a citizen to rent or owned agricultural land through contracting with the Ministry of Agriculture Without reference to the Ministry of Oil and shows that it contains oil taboos, and this is very frequent in the province of Basra. " And on the contracts of licensing rounds and the extent of the participation of the Bureau in them, Nuri said that "has not been involved since the beginning of the study of these contracts, as he did not see the wording, noting that the role of the Bureau was limited to audit the output of contracts only through the Ministry of Oil," noting that "tours What are the terms of service contracts as the winning companies to spend, then the government demands what was spent plus the agreed percentage for each barrel added. He pointed out that "the expenses of companies were large and objected to the current Prime Minister, Adel Abdul Mahdi, who was running oil minister at the time and demanded to reduce expenses, such as the expenses of experts and travel, which was exaggerated as it has been reviewed and reduced costs. The head of the Financial Control Bureau said: "As for the internationally documented tours, the Diwan was not present. Therefore, the Chamber of Deputies recently commissioned the Court to audit the tours after implementation. Many cases of imbalance were diagnosed, but there is no possibility of amendment. The owner of oil, for example extraction and export, "noting that" the companies winning licensing rounds have nothing to do with the barrel, but to increase production. " The Federal Supreme Court ruled Sunday, unconstitutional article in the law against the smuggling of oil and its derivatives, stressing their opposition to the independence of the judiciary. "The Federal Supreme Court held its session under the chairmanship of Judge Medhat al-Mahmoud and the presence of all the members of the judges, and considered an appeal filed by the Deputy Prosecutor of the Court of Inquiry Nasiriyah of the Presidency of the Court of Appeal Dhi Qar Federal" . "The appellant challenged the unconstitutionality of the last part of Article (2 / First) of Law No. (41) of 2008 (the law against the smuggling of oil and its derivatives), which prevented the release of the driver of the vehicle or boat or captain of the ship and the users of other modes of transport, To participate in the commission of the crime of those arrested under the provisions of the above-mentioned law in the stages of investigation and trial only after a final judgment in the case. " "The Supreme Federal Court found that the defendant's innocence was found until proven guilty in a fair trial in accordance with the provisions of Article 19 of the Constitution of the Republic of Iraq for 2005." The court stressed that the freedom and dignity of the human being is safeguarded in accordance with the provisions of Article (37 / I / A) of the Constitution, and that the prohibition of this freedom must be regulated by a law that allows the judiciary to assess the legal position in the arrest or release of the accused on bail under the gravity of the crime and the place of the accused and his circumstances in accordance with the provisions of Articles (19 / I, 88 and 47) . Al-Samok said that "the court stated that these articles ruled the independence of the judiciary in the adoption of its provisions and decisions and has no authority other than the law and the principle of separation of powers, each in the field of jurisdiction," stressing that "the Court stated that the Law of Criminal Procedure No. (23) The subject of this appeal was carefully regulated in terms of public interest and personal freedom in Articles 109 and 110 thereof. "The Federal Supreme Court stated that those articles defined crimes in which the accused can not be released on bail and is released in other crimes, leaving his discretion to the trial judge in the investigation and trial stages, who assesses the seriousness of the crime assigned to the accused and the seriousness of the offense Or its effect on the conduct of the investigation and prosecution if it is released on bail and guaranteed purpose. " head of the Office of Financial Supervision, the head of the Integrity Agency, Salah Nuri, on Tuesday, the completion of the Joint Council to combat corruption investigation of the first two files of corruption, revealing a monitoring waste estimated at more than 20 billion dinars. Nouri said in a press statement that "the Joint Council for Combating Corruption, has acted and accelerated many of the important files available between the Office of Financial Supervision and the Integrity and Judiciary Commission and the representative of the inspectors general, represented by the Inspector General of the Ministry of Interior and representatives of civil society, and therefore the Council is not closed and coordination To resolve as many files as soon as possible. " He added that "the Anti-Corruption Council has played a major role in the completion of two files are vital files, namely the granting of the flood victims that occurred in 2014, and displaced during the power of" urging "some of the provinces," stressing that "Without the presence of the Council to take longer." 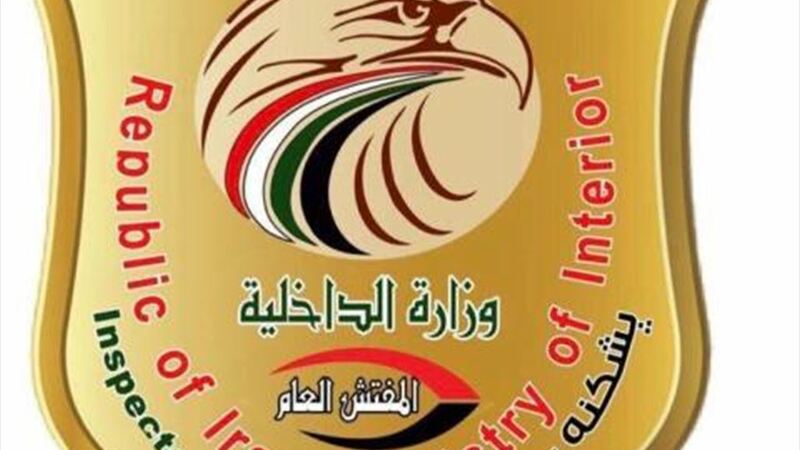 The head of the Integrity Agency said that "the Bureau, after carrying out checks on the file of displaced persons, discovered the existence of amounts did not actually spend for the displaced, which was planned grant of one million dinars, has been diagnosed imbalances in this file and is now integrated.